An article came out on the Yahoo Real Estate page today that I felt was very timely. Most of us aren't looking to sell right now and couldn't even if we wanted to in this economy. I live in the Phoenix area which is one of the worst housing markets in the country now. However there are so many cost effective ways to spruce up our home that will add value and make your home stand out from your neighbor's home should you decide to sell in the future. Check out the Yahoo article that I will be commenting on, 8 DIY Projects to Add Value to Your Home By Labor Day. Kitchens are the gathering place and are the heart of the home. If you have a handy husband or a great handyman, change out your sink and faucet and you'll love what it does for the kitchen. Consider going the route of one large basin rather than a split sink to be able to accommodate large roasting pans and other over sized dishes. If you have a builder grade faucet then it is almost a necessity and you can find a water saving faucet that is good for the environment and your pocketbook. A stylish faucet doesn't have to be expensive. 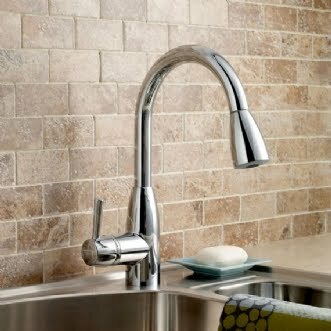 This American Standard Fairbury faucet is only $108.00 at Home Depot. I think of faucets and cabinet hardware as the "jewelry" of your kitchen. Like with an outfit, the right jewelry can make or break your look. If you have outdated cabinetry hardware and can afford to replace it, consider updated this as well. You won't believe how just updating your knobs and pulls can transform your kitchen into the new millennium. This is another area of the kitchen where a little effort can yield a big look. Many people have a four inch backlash that is integrated with their counter. Extend your backsplash all the way to the upper cabinets and complete the look. Be sure to stay true to the look of the kitchen. Don't add a modern looking glass tile backsplash to a country kitchen. 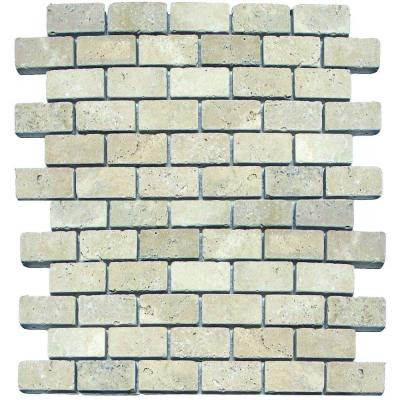 I found several natural stone products at Home Depot for around or under $10.00 per square foot. If you have any tile outlets near you, check them out for a really good deal. If your bathroom cabinets are beyond painting for a spruce up, replace. I love this Yahoo article mentioning using an old dresser for a sink vanity. If you are at a flea market or garage sale find a piece with good bones and refinish it if necessary. I love this look, especially if you live in an older home. 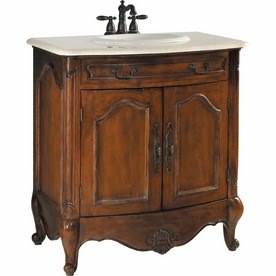 For a great look on a new piece with an older look, I found this Estate vanity at Lowe's for $398.00. As for toilets, a newer, water saving toilet can save you money on your water bills and update your bathroom at the same time. By far your best home investment! Paint is the best way to update and freshen the appearance of your home dollar for dollar. If doing it yourself, please take the time to do the proper prep work because a bad paint job will not increase the value of your home. If you have a fear of color, pick out a warm neutral for an overall color. Paint your trim an off white and the wall color will pop in comparison. I have a client's home that is in the process of being freshened right now. We used Behr "Oat Cake" as a neutral throughout with "Swiss Coffee" for the trim and doors. We also added a few accent wall colors. It looks fabulous so far and I can't wait to see it completed. If you aren't a natural in picking out paint colors, it may be a good investment to pay an interior designer for a one hour color consultation to make sure the colors flow throughout your home. I noticed that Lowe's is offering a mail-in paint rebate now too. Not all ceiling lines can accommodate crown moldings, but if you have flat ceilings adding a crown molding elevates the look of your room. Consider adding it to your formal living spaces and master bedroom first. As your budget allows, add the molding to secondary bedrooms. Molds at the ceiling are a little trickier since you need precise cuts. 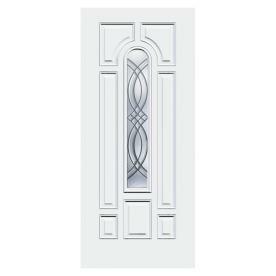 Moldings other than crown molding can add a lot of style too and create architectural interest where none might have existed. See the picture below as a good example. 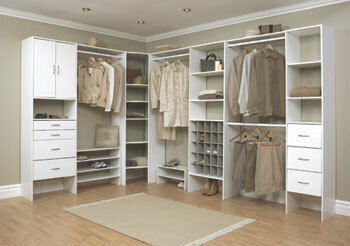 If you have never added a customized closet system, consider it. There are DIY systems at your local home improvement store that will make your space function so much better. Let's face it, we can never be too thin, too rich, or have too much storage in our home. If your front door is in disrepair, seriously consider replacing the front door. If your front door is a steel door and just looking a little tired, painting to give a fresh look might be all it needs. Your front door is the first thing guest see when they visit your home, so make sure it looks nice. If you can afford to, consider updating your lock set, entry lighting and house numbers to give your home a polished look. A good power wash can go a long way too. 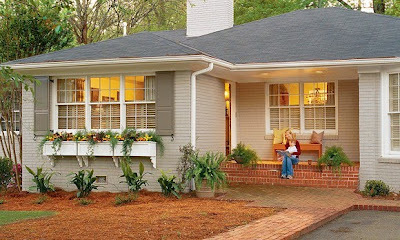 Is your front yard landscaping inviting? If not, a little manpower on your part can yield so big financial rewards. You needn’t spend more than $300 to $400 in basic landscaping projects to produce $1,500 to $2,000 in added home value, according to HomeGain.com’s Prepare to Sell survey. It may be as simple a pruning trees and bushes or adding fresh mulch. An overgrown landscape can be as unappealing as not having enough landscaping. Don't forget to add some color through seasonal flowers, either in pretty pots or planted in the ground. If you have a porch, keep it clean. If the kids' toys, shoes, etc. have been there for a while, it is time to clean up and put things back where they belong. I am adding one of my own, please upgrade the lighting from the usual builder grade fixtures. There are attractive lighting fixtures at most price points so next time you are at your local home store, please find something more attractive than what most builders give you. It makes such a difference. 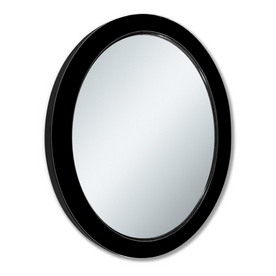 While I am on that subject, consider either trimming out the plain Jane bathroom mirror with some molding or replacing an attached mirror with a framed wall hung mirror. Once again, attractive mirrors can be found at all price points and really elevate the status of your bathroom. That was a great post! 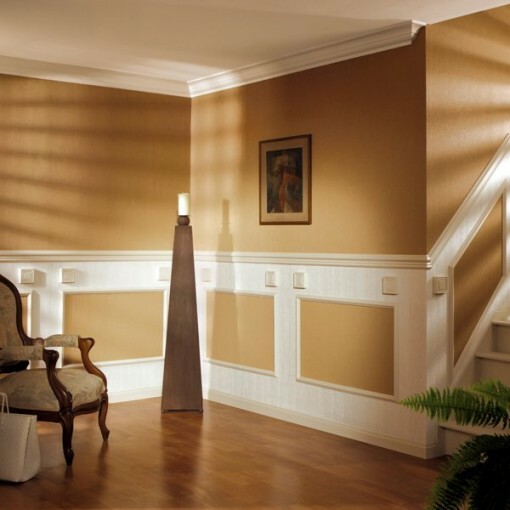 We're in the process of adding crown molding throughout and it can get expensive! Faucets will be next.